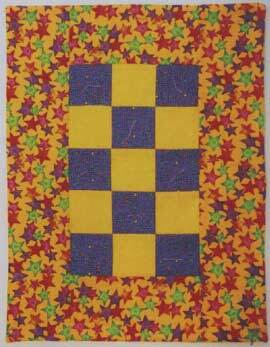 Childern will love making this quilt with an adult's help using a rotary cutter and sewing. The quilt is sewn on the sewing machine and then enveloped and tied using pearle cotton. This project can be used as a doll quilt, dresser scarf, or a place mat. Price includes shipping and handling.